Jason Love is a part-time agent for MI-6. 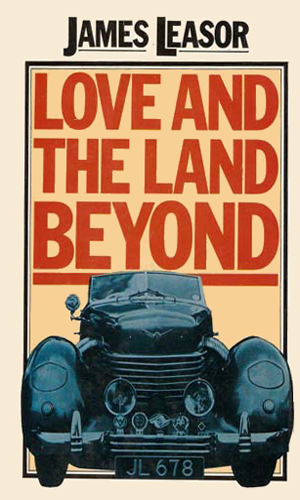 The tag line used by the publishers to describe Love is quite accurate – Love is a country doctor. He makes his practice in the quiet English village of Bishop's Combe, near Taunton in Somerset (for Americans without an atlas, that is considerably west of London and northeast of Plymouth). While he is a well respected member of the community, he is not what one would think of as a country doctor. He is still fairly young, being in his late 30s or early 40s. He enjoys greatly the company of the ladies and they are easily charmed by his quick wit and quite handsome face. He has a fanatical adoration for the Cord automobile. He never turns down a chance for excitement. 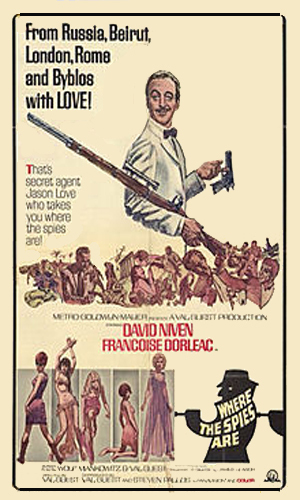 Dr. Love certainly did not seek a role with British Intelligence. He was happy as a general practitioner as it afforded him time to enjoy his great love of Cord cars. Still, when the Deputy Director of Operations of MI6 needed someone, specifically a non-agent, who might help in a mission, he didn't need much time to agree. 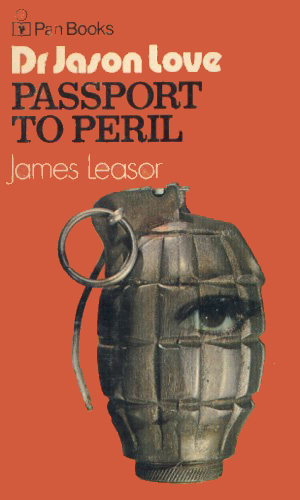 Not every adventure chronicled in the nine books was a mission for MI6, although many were. On the early cases, perhaps as a sign of the times, MI6 was determined to load Love down with considerable numbers of exotic gadgets. As time passed, so did the gadgets. Note: for the record, and because I went to the trouble to look it up, Cord cars were made by the Cord Corporation, founded by E. L. Cord, from 1929 to 1937 and were considered highly prized roadsters. Though the company went bankrupt, due largely to the Depression, the popularity of the cars remained high and enjoyed a resurgence in the 60's and 70's when scaled down replicas were manufactured. They are still being made for aficionados. This is mentioned because Love’s obsession with these cars is made use of in more than one important occasion. When a British agent goes missing in Iran, his boss needs someone who can help find him. 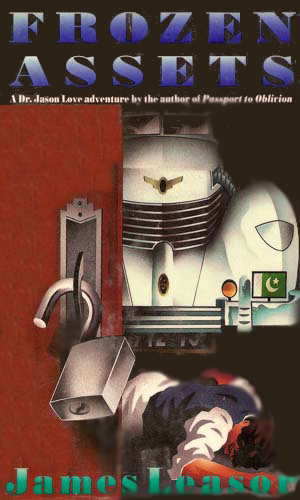 Using a doctor's conference in Tehran as a shield, he selects Dr. Love, who uncovers a plot to kill the Shah of Iran. While on a short vacation skiing, Love is approached with a request to look in on an ailing son of a visiting leader from the Himalayas. Love soon is involved in a Chinese plot to create a new, devastating laser weapon. 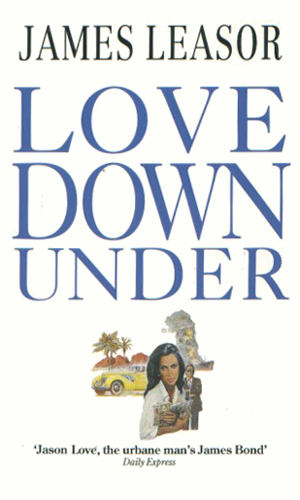 On vacation in the Bahamas, Dr. Love comes to the aid of a young woman having trouble with a speed boat. Before he knows it, he is involved in intrigue with neo-Nazis, Israeli agents, and a blind madman who wants to get revenge through a nuclear weapon. The British Secret Service again calls upon Dr. Love when they learn he is headed to Syria to investigate the car accident that claimed the life of an old patient's daughter. Before long he is fighting both Albanians and Bulgarians in the heat of Damascus. 2. Monday In Portugal: Hero Or Heroin? Dr. Love, responding to a plea by a new patient, flies to Beirut to find the status of her husband who recently went missing while working there. 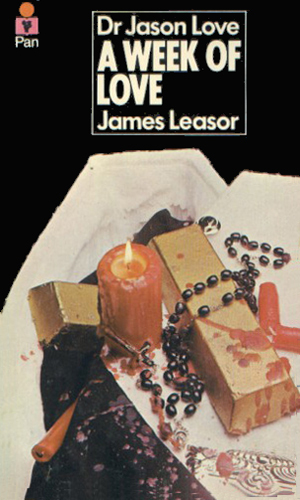 Love soon get involved in political turmoil capped with assassination attempts. The owner of Aristo Autos, provider of the Cord car that Love is so enamoured with, has a chance to get his hands on two priceless cars. To do this, he and Love must make a trip to Corsica where international mischief is underway. On vacation along the coast of Portugal, Love accepts an dinner invitation from a rich American that ends in a murder and a mystery connecting deaths in Oregon with a Calcutta refugee and a recluse who is monitoring ship movements. Headed to Pakistan to check out an ancient Cord, Dr. Love is again talked into a little 'side trip' by his friends in the Secret Service, this time taking him into the war zone of Afghanistan to check out the activities of the Soviets. 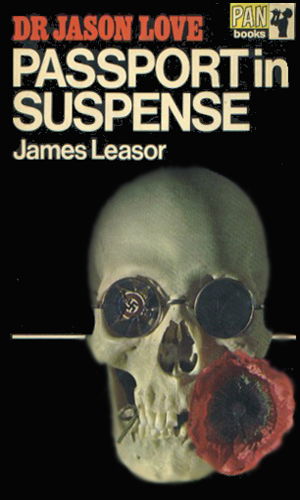 Dr. Love was looking forward to visiting a friend in Australia, when he is beseeched by a grieving patient to check out the truth behind a drowning accident there, involving a strange man with metal hands and the ability to see in the dark. 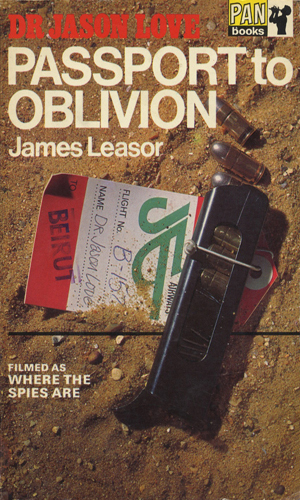 The first book in the series, Passport to Oblivion, was turned into the movie Where The Spies Are in 1965 starring the great British actor, David Niven, in the role of Jason Love. It had been planned that MGM would make a franchise out of the character but that never came to pass. 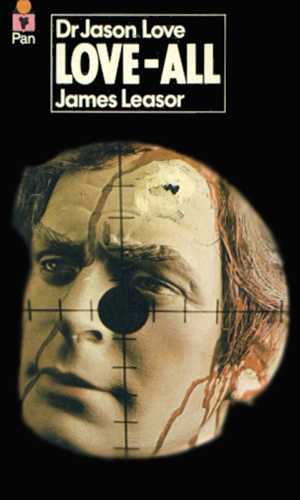 James Leasor took, in my opinion, the silly idea of a country doctor turned into a spy and made sense out of it, all in a very enjoyable manner. While not light-weight, it certainly is not heavy material and the character of Jason Love is one you'll be sure to like. And if you don't, I'm sure he can prescribe something to get you over it. When I talk about it making sense, once you get over the business of MI-6 needing and using an amateur, you realize that an energetic, very smart man like Love would make a great agent. He is resourceful, his medical license would get him into lots of places and those it might not help with would often open the doors to a country doctor on holiday. His charm and his easy nature would make him appear a non-threat. And Love can talk his way out of a lot of things. 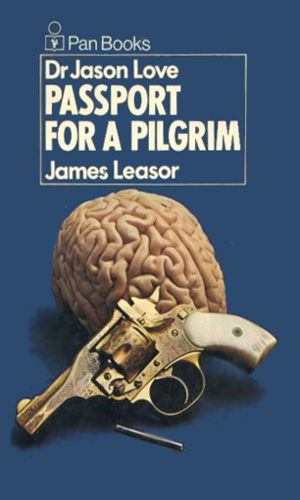 I read a couple of these back in the '60s and I quite liked them. They are Buchanesque in tone and really, Love is that decades version of Richard Hannay - the likeable amateur. Another attraction for me was his love of Cord cars - a passion I share!